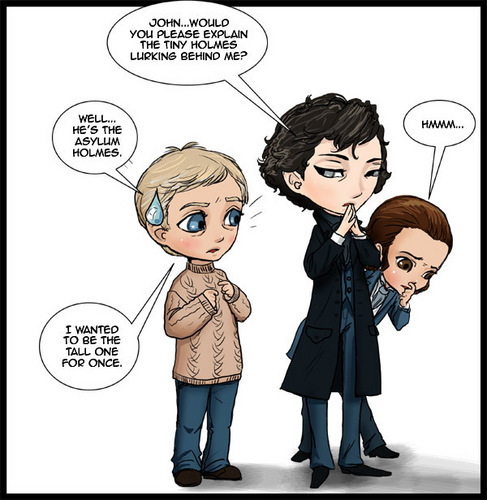 Sherlock and Asylum Sherlock. . Wallpaper and background images in the Sherlock in der BBC club tagged: sherlock watson cm15 sherlock holmes fan art lj livejournal. don't worry John your taller than me!!! !